A savings and loan club is helping Ummi Lawal and several thousand women develop small businesses and contribute to their family income. Ummi Lawal started with sugar cane and now raises and sells goats. 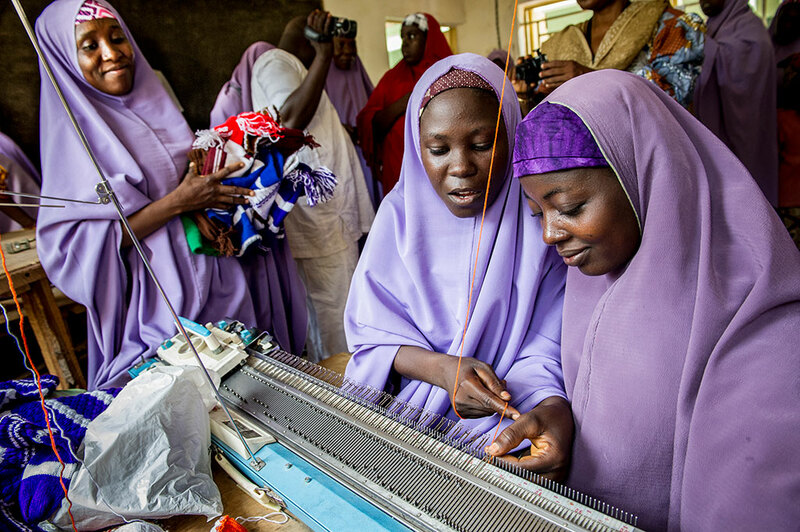 Gusau, Nigeria—Ummi Lawal changed her life and that of her family with a $13 loan. The Nigerian mother of 12 struggled to provide for her children before joining Talaffin Mata Masu Dabara (TMMD) club in Mada—a women’s savings and loan club that empowers its members to launch small businesses and make independent decisions about issues such as where and when to receive health services. An invitation to join the savings club offered Ummi Lawal the prospect of improving conditions for her family and herself. With the small loan she received, she began selling sugar cane. Over the years, she expanded her business and today, she’s rearing and selling goats. “With my animals and what I have as my personal savings, this is helping me to take care of my 12 children and other household needs,” she says proudly. Ummi Lawal is among the more than 5,325 women in northern Nigeria who are participating in a savings club as part of an initiative supported by Jhpiego in partnership with the government of Nigeria to improve maternal and newborn health outcomes. She lives in Zamfara state, a predominantly Muslim region of Nigeria with a high disease burden, high fertility rate and weak health systems for a population topping 4 million. Women like Ummi are traditionally dependent on their husbands, who may legally have up to four wives. Men control the family’s resources, and women struggle to achieve any economic independence for themselves or their children, fueling poverty and disempowerment that has contributed to high maternal and neonatal mortality in the state. 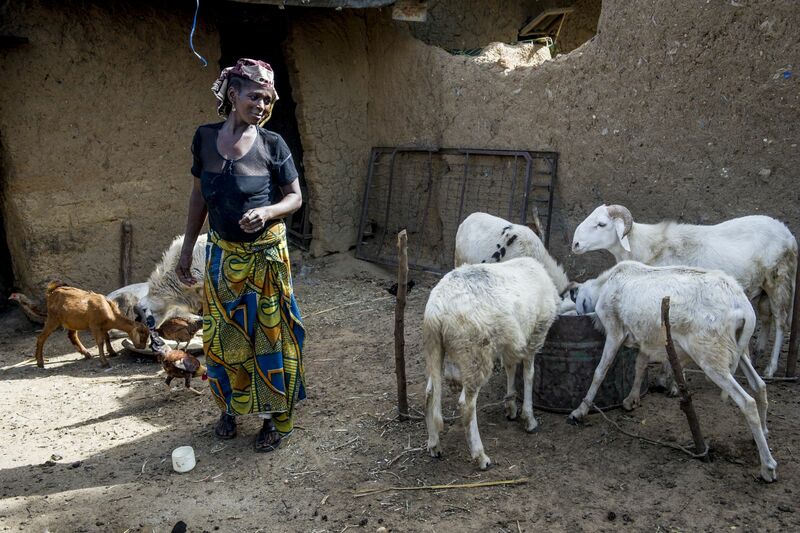 “I joined the club with nothing,” says Aisha Aliyu, another member of the savings club. It’s a sentiment shared by many of the women in the club. The savings club system dates to 2008, when the U.S. Agency for International Development’s flagship Maternal and Child Health Integrated Program (MCHIP), led by Jhpiego, launched a series of community programs in Zamfara and elsewhere to improve maternal health and reduce poverty. In cooperation with the Ministry of Health, the initiative had the twin benefit of helping women and their families. Since the end of MCHIP in early 2014, the sustainable, replicable savings clubs have continued to grow on their own, reaching and empowering more women throughout the region. 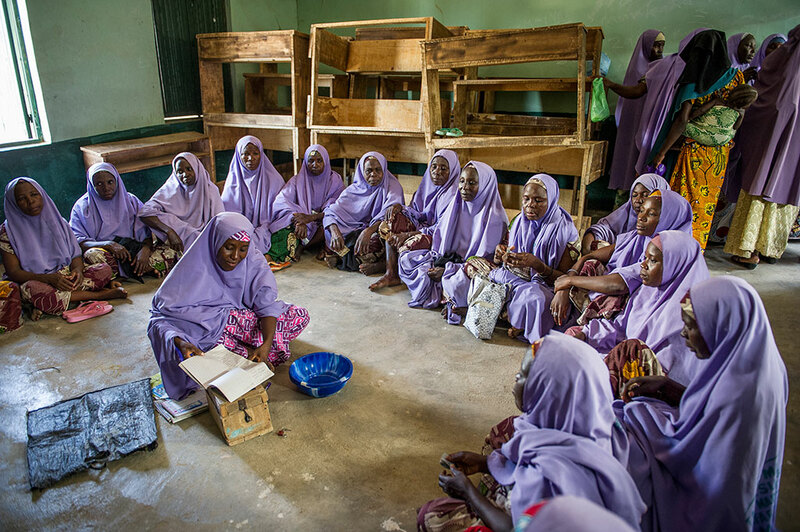 In a typical mothers’ savings and loan club like the one Ummi Lawal attends, 20 to 25 members contribute small amounts of money each week, typically less than half a dollar. When members of the club take money out of the community “pot” for business needs, they are expected to pay the loans back with an average interest of 10 percent, growing the size of available funds. However, if members need a loan for health reasons, they don’t pay any interest. More than 5,000 Nigerian women have participated in this MCHIP-initiated program. This encourages responsible entrepreneurship, and provides women with the means to afford the health services they may need. As of June 2014, more than 163 savings clubs had been established, and more than $130,000 collected—a staggering sum considering the lack of resources most of the women experience. And poverty-related marital break-ups for women in the savings club have diminished as a result of their financial independence. The rate of “saki”—a Hausa word for divorce—is significantly lower for women in the club. In a region where over 80 percent of the population engages in crop farming (Zamfara’s state motto is “Farming Is Our Pride”), small businesses like Ummi’s sugar cane business are popular. Thanks to the women in savings clubs across Zamfara state and elsewhere in Nigeria, thousands of women like Aisha can say the same. All photos by MCHIP/Karen Kasmauski.